Family matters involving your children are some of the hardest situations you may end up dealing with. 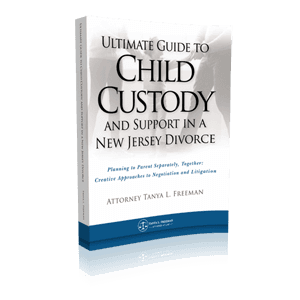 The New Jersey Child Custody and Support Guide was created by New Jersey Family Law Attorney Tanya Freeman to help parents understand the complexities of child support and child custody. We offer free consultations, give our office a call for guidance. When a couple decide to divorce, their decisions rarely affect them and them alone. When you divorce, you are dismantling a family – that decision will ripple through the rest of your family and your friendships. Most importantly, it will affect the lives of your children. 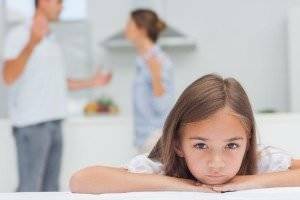 To some extent, all of the decisions in a divorce – including the division of property and assets – revolve around children, because both spouses will want to prioritize their children’s stability. Both will need to work together to come up with creative solutions to child custody, honest agreements about child support, and answers to all the other questions about parenting post-divorce – including travel, extracurriculars, and educational costs – that put the children’s interests first. To do this, it will be necessary for both parties to approach the process ready and willing to listen and to speak, to suggest, to debate, and to compromise. Having an attorney that you trust to be as committed to your children’s well being as you are – and to foresee problems you won’t – is very important. However, there is no substitution for preparation. You’re entering a process that will shape the rhythms of your children’s’ lives, and determine your ability to provide for them. You need to think through the major issues you will address before you start the process – whether that process takes you to mediation, negotiation, or litigation in a courtroom. Relocating with minor outside New Jersey is one of the most difficult legal battles a divorced person, or person seeking divorce, can face. The court considers many factors in response to a request to relocate outside of the jurisdiction, including the child’s ties to the community, any extended family members who live in New Jersey, and how this move will impact the non-moving parent’s custody and parenting time plan. One spouse wanting to move to Brooklyn from northern New Jersey is almost a non-event. Although a court order is required, the process is much less difficult than it would be if the contemplated move were from New Jersey to Los Angeles, for instance. In all cases, the court will ask questions like these: How will you facilitate adequate parenting time for the non-moving parent? How will you maintain the child’s family ties within New Jersey? What kind of plan can be established so that the child can communicate with the non-moving parent? Could that other parent move, along with the family, even though you’re no longer a cohesive family? It will never be as simple as, “I’m buying a plane ticket. I have a new job, and I’m leaving the state of New Jersey.” Getting a court order that allows you to move is a time-consuming process and, if you’re even contemplating such a move, you should begin discussion with your attorney early on. 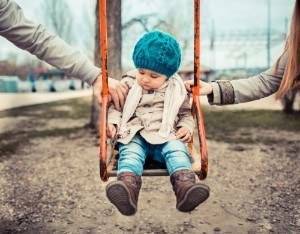 A child custody decision in a divorce can leave the primary custodial parent with the sudden burden of most childcare expenses. The obvious ones are education and healthcare, but you should also think about extracurriculars, sports and hobbies, travel, and, for older children, cars and car insurance. 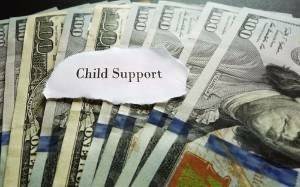 New Jersey uses two sets of guidelines, or “worksheets,” to calculate child support for single or joint custodial arrangements. Still, you’ll want to consult a attorney who can help you think in the long term, anticipating changes to your child’s needs, and ensure that your former spouse contributes a reasonable and equitable share. New Jersey law provides two sets of guidelines – often called “worksheets” – for determining the amount of child support. One worksheet is for a “Sole Parenting” situation (in which one parent has full physical custody) and the other is for a “Joint Parenting” situation (in which both parents share physical custody, though not necessarily 50/50). These relatively simple worksheets factor in each parent’s income and the estimated expenses of child care. They also account for the amount of time that a child stays with each parent. The “parent of alternate residence” will always make weekly payments to the “custodial parent,” though these will be less the closer the parenting time arrangement approaches to 50/50. There are two important things to note here. First, the cost of raising a child generally increases as the child ages, but child support payments are fixed, and based on an average of the costs spread across the estimated years until child support payments end. This means that if you are receiving payments, New Jersey law assumes there will be a surplus in the first years, and that you will save or invest this surplus to call on in the later years. Second, the worksheets do not account for all of the expenses of raising a child. Health insurance, non-reimbursed medical expenses, private school tuition, summer camp, extracurriculars, and vacations may not be covered. You should address these anticipated expenses with your attorney and then with your spouse so that you can plan an equitable way to cover them. In New Jersey, child support payments do not automatically end when a child turns 18. The important age here is 19, but even this is not necessarily a trigger ending child support. The obligation to pay child support in New Jersey ends when a child is “emancipated.” This may be when a child turns 19, but the state law delays emancipation if a child chooses to attend a college full-time. Emancipation could happen before a child turns 19 if the child leaves the custodial parent’s house (presumably to start a job and/or family). If both parents are working outside the home, you’ll need to consider work-related childcare expenses in any child support calculations. Daycare, for example, costs a weekly set amount. Older children requiring care before or after school, or summer camp expenses, are slightly more complicated, but not hard to factor into a settlement with the help of a attorney. Some spouses come into the divorce process with extraordinary out-of-pocket medical expenses – for example, a child might have autism, muscular dystrophy, or some other condition or illness that requires regular attention, therapy, constant medication, or special programs. These costs are steep but easy to predict, as they recur on a regular basis and will have been well-documented before the divorce process begins. Still, these expenses are over and above regular child support. It’s important that both spouses quantify these expenses early in the process, to ensure that their children receive uninterrupted services, and to avoid re-litigation. Especially with young children, parents going through a divorce can forget about seemingly far-off expenses, like cars, driving lessons, and insurance. A New Jersey divorce attorney can help you plot out and think through these things in advance. When a child gets a learner’s permit, the car insurance for the household in which the child primarily resides will go up significantly. Driving school will be an additional expense. Some parents also anticipate buying a child’s first car. You and your spouse need to come to an agreement about these costs in advance, to avoid relitigating. College costs can be hard to address in a divorce settlement, because so many factors come into play. College costs range widely depending on whether or not a young person attends a private or public, in-state or out-of-state school. The total cost will range from tens to hundreds of thousands of dollars. One parent might expect to pay all or part of a child’s college expenses, while the other might expect the child to pay his or her own way through a degree. In New Jersey, divorced parents are expected to contribute to a child’s college expenses, so long as the child has exhausted money from scholarships, financial aid, and loans. If your child isn’t near college-age, you’ll still want to put a placeholder in your settlement stating your intent. If you wish your child to go to a state school, to attend your own alma mater, or to choose his or her own dream school, and in any case expect your spouse to contribute to the cost, that might not be enforceable, but you should still put your wishes into the official statement. If there is any history of domestic violence or child abuse, or if you have any fear of the same, you need to get yourself and your children away from the abuser. If your children are the victims of abuse at the hands of your spouse or partner, call the police and/or Child Protection and Permanency (part of the New Jersey Department of Children and Families). Both police and CP&P will be obligated to investigate your claim, and may take action to remove the abuser. Understand that the children don’t have to be the direct victims of abuse to suffer. Witnessing abuse, especially abuse perpetrated by one parent on the other parent, can cause lasting psychological trauma. If you are the victim of abuse, you need to end that abuse as much for your children’s sake as theirs. If you think that you have insulated your children from the abuse, and that they do not know about the abuse, you are probably wrong. They can sense the pain, tension, fear, and animosity in their home environment. Any person who is part of his or her present or former household. New Jersey mandates arrest if law enforcement officials take a criminal complaint, seeing evidence of domestic violence. Officials may also seize any weapons in the alleged perpetrator’s possession for safekeeping, or if a court grants the victim an order for the seizure of any specific weapon. Keeping the alleged perpetrator from the premises. Preventing the alleged perpetrator from purchasing any weapon. Granting possession of shared pets to the victim. Giving the victim exclusive possession of the home. Establishing a temporary child custody and parenting plan. Ordering the alleged perpetrator to compensate the victim for any losses. Ordering the alleged perpetrator into counseling or a psychiatric evaluation. Prohibiting contact with the victim. Requiring the perpetrator to pay the victim’s living expenses. Not every protective order in New Jersey will contain all these provisions. The nature and scope of the order will depend upon evidence available, the nature and number of the alleged crimes, and the immediate needs of the victim and children. The order, along with any police or CP&P reports, could help you win a better result in your child custody negotiations or litigation – which would ultimately be a win for your children. Of course, some spouses use claims of domestic violence or child abuse are leverage to win more desirable terms. Far too often, spouses make entirely false or exaggerated claims of abuse to get the opposite party out of a shared home, go get control of the children or of assets, to punish the other spouse, or to influence a judge’s decision. Unfortunately for the accused, the definition of “domestic violence” is so broad that some false accusers have used accusations of “aggressions” like late night phone calls to win convictions and orders of protection – orders that violate the rights of the wrongfully accused, and could influence the legal outcomes of a divorce that will shape the rest of their lives, and their children’s lives. If your spouse has falsely accused you of domestic violence or child abuse, you need to act quickly. Inform your attorney, who will be able to present evidence and make a case for the dismissal of all charges at the hearing for your temporary order of protection. Protect yourself and your children, and rely on counsel to defeat these false and malicious charges. If you are going through a divorce, we know what is playing havoc with your peace and equanimity: the kids. 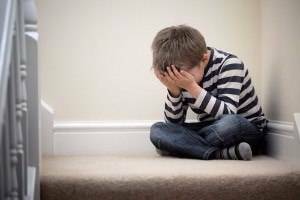 If you are lying awake at night, fretting about what will happen to your children, how the ordeal is affecting them, and how you can ensure your relationship with them remains intact, please give New Jersey child custody and child support attorney, Tanya Freeman of Morris County, a call to keep your children unaffected and happy. This entry was posted in Child Custody, Child Support, Family Law Guides, New Jersey Family Law Blog. Bookmark the permalink.